As an art form, there are four types of still lifes: symbolic pieces, animal pieces, banquet or breakfast pieces and flower pieces. Symbolic pieces include a composition that gives a symbolic message, but more often, it is used to express the triviality and transience of life on earth. Often, these are religious in nature and are more concerned with the “vanities,” thus these paintings were categorized as “Vanitas” form of still life. It became a major art style in Holland in the 17th century because of the Protestant Dutch Reformed Church, which banned religious art. Due to the new prosperity enjoyed by the middle class, sculptors and painters found new patrons who were looking for smaller and portable art works. It quickly led to the establishment of Dutch Realist schools in Delft, Leiden and Utrecht. Artists in these schools created masterpieces that made a huge impact on the future history of art in the world in terms of intrinsic properties as varnish, linear perspective, tonal values and composition, as well as in narrative and symbolism. Steenwyck was born in Delft in 1612. It is also the birthplace of prominent Dutch Golden Age artist, Jan Vermeer. He first received art instructions from David Bailly, his uncle who was a very talented artist in his own right. He was under his uncle’s tutelage from five years starting in 1628. He later joined his brother Pieter, also a talented artist, and together, they managed an art studio. In 1636, at age 24, Steenwyck joined the Guild of Saint Luke, which allowed him to accept pupils. By 1654, he’s already an established painter and recognized as a top exponent of vanitas still life. Harmen van Steenwyck’s paintings were very distinct for their golden palette, strong contrasts in color tones and the very smooth and invisible brushstrokes. He was adept at showing the various effects of light on different surfaces and depicting an almost luminous, realistic and transparent quality on some of his compositions’ objects. 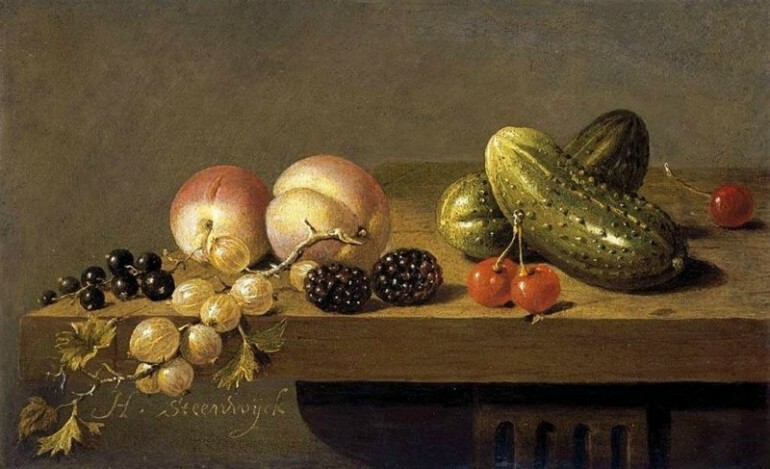 The objects on his canvases, particularly fruits, were painted in intricate detail, just like the works of Jan Lievens and Gerrit Dou. Steenwyck was very active in Leiden from 1628 until 1633. He went back to Delft in 1633 and stayed there until 1656. He made a brief trip to the Dutch East Indies late in his career. 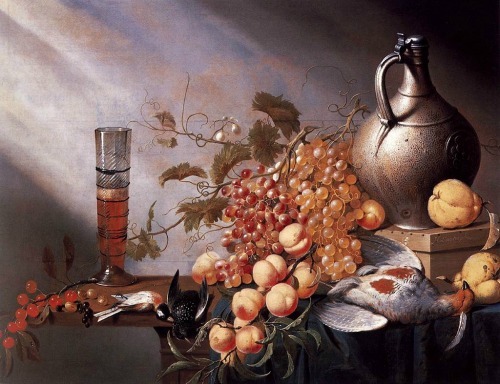 Vanitas still lifes contained symbolic objects, each one of them having a message touching on Christian morals. They can be compared to visual sermons. Vanitas paintings conveyed the general message that people should not put too much importance on pleasures and wealth, which are all temporary, because they could be a hindrance to one’s salvation. This is particularly true in Steenywyck’s painting, “An Allegory of the Vanities of Human Life,” which he created in 1640.